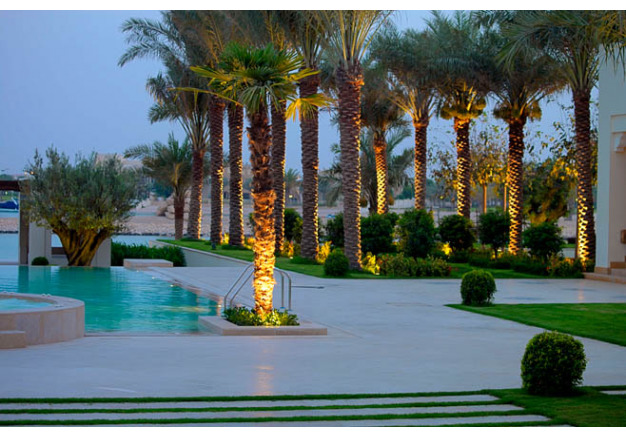 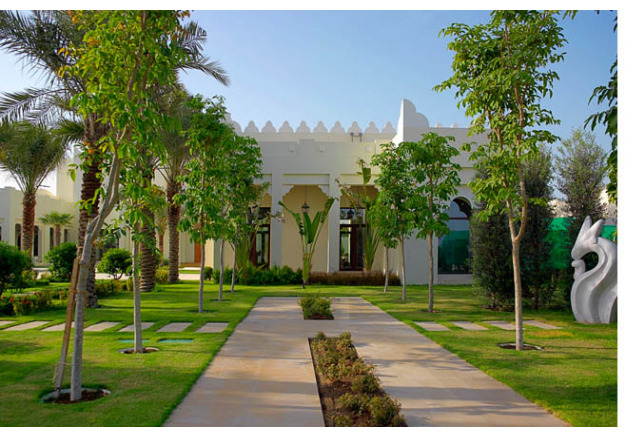 A series of theme gardens and natural stone courtyards create a choice of living spaces on the grounds of this Doha villa. 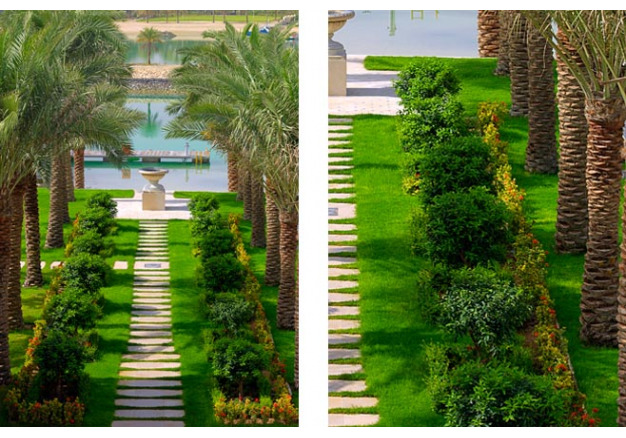 Despite difference in character and mood, these areas come together as one. 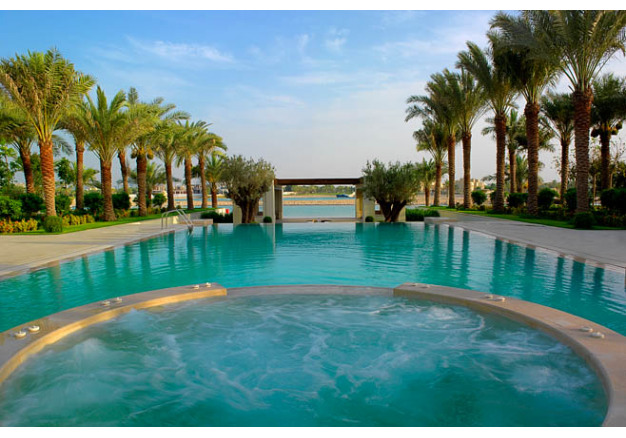 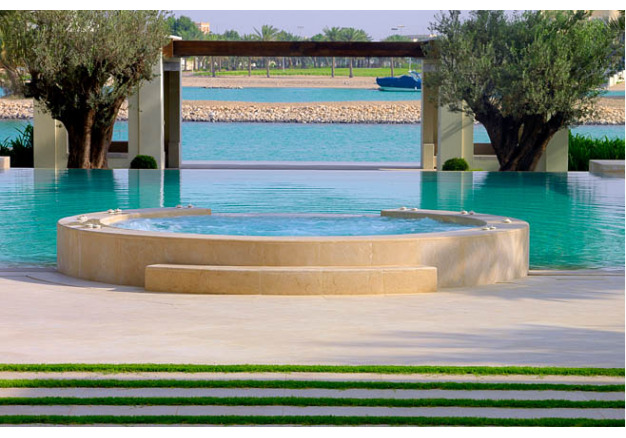 They achieve a fluid continuity which, amplified by the presence of water throughout the landscape, culminates in the glistening waters of the adjoining lagoon. 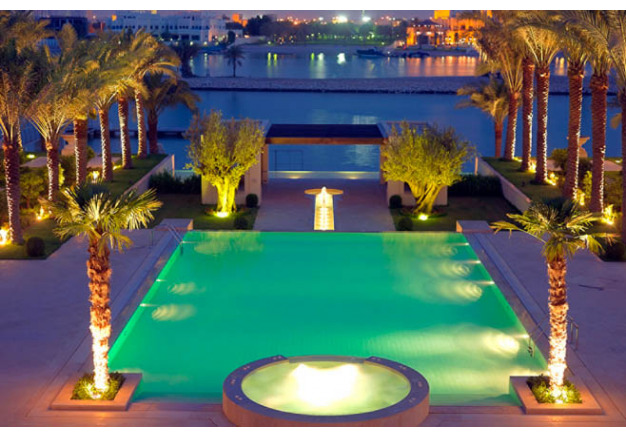 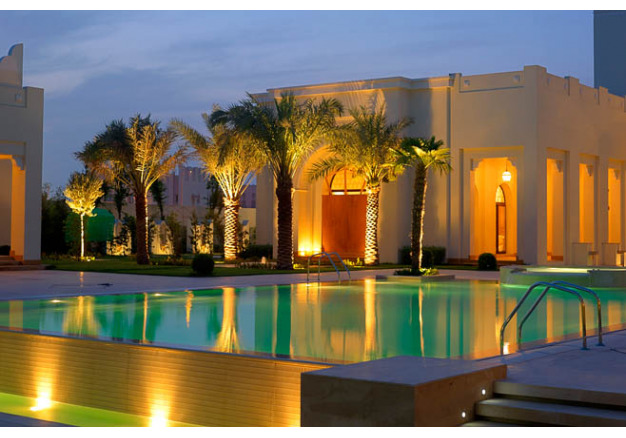 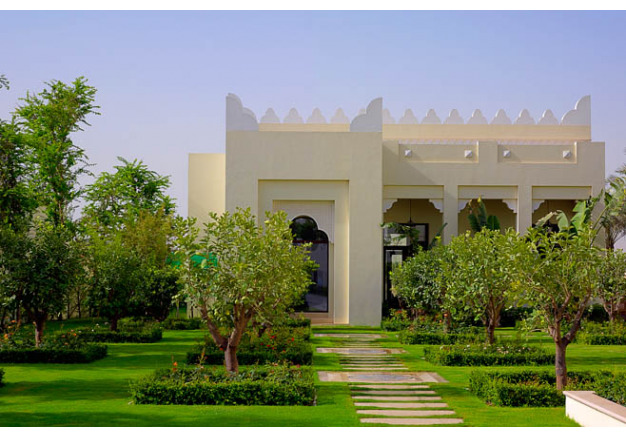 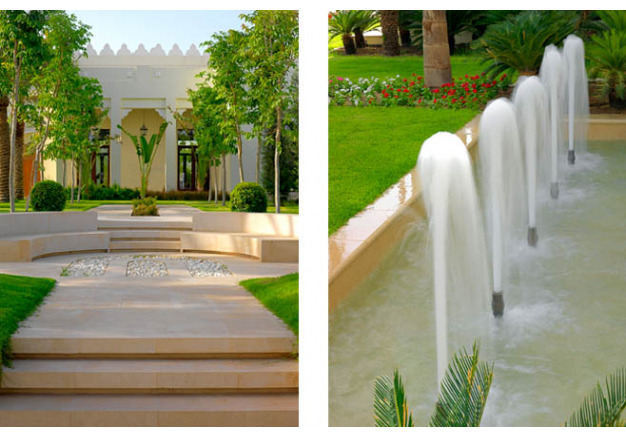 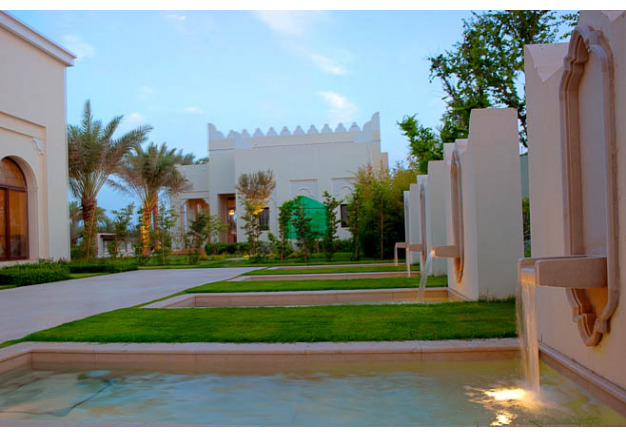 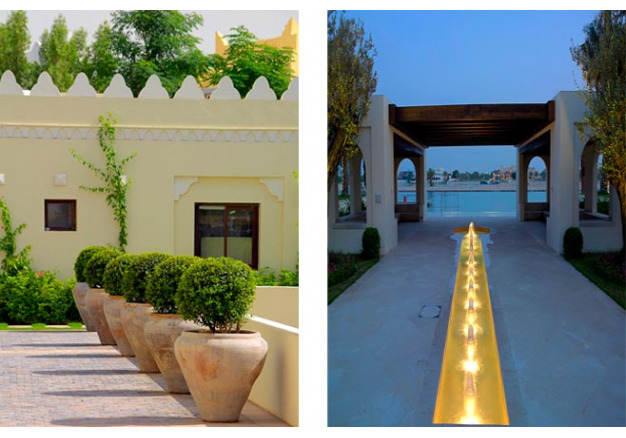 Through their pronounced linearity and symmetry, the gardens also complement the Moroccan style of the villa. 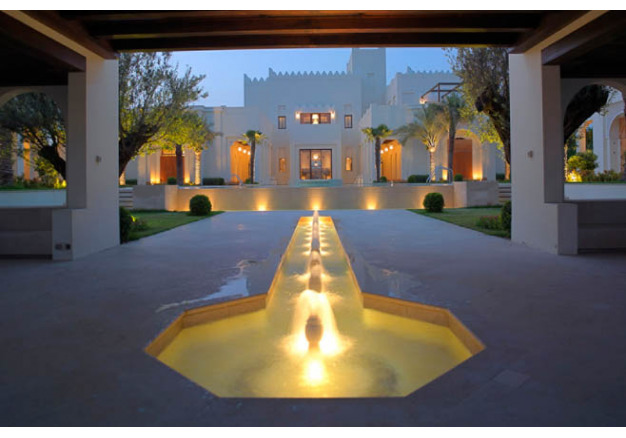 As a result, a rare balance is achieved between the interior and exterior architectures. 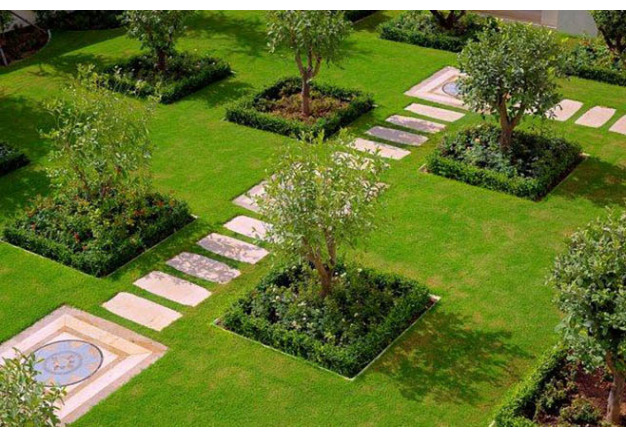 This orderly, geometric composition is mirrored by the shapes given to various elements throughout the outdoors: a planter in the form of a square here, a star-shaped fountain there.